The Welsh wrapped up a third Grand Slam in 11 years under Warren Gatland and can look forward to the World Cup with optimism. Ireland, with a third-place finish, will be re-examining everything about their set-up, from how they prepare to who is selected. "We would urge the supporters not to lose faith," said head coach Schmidt. "The team will perform in Japan. England were fifth last year after being back-to-back champions. We haven't been catastrophic but we haven't been as good as we needed to be. I take my hat off to Warren Gatland. To be 12 years as an international coach and be so competitive? I've done six years and it nearly killed me. They know how to fight their way to the finish." The Principality Stadium roof - opened or closed? - had seemed like a handy line for the media to fill space in the run-up to this game. But given the nature of the contest it ran on well after the final whistle. Ireland conceded 20 turnover and 11 penalties on a day when pretty much everything they touched ended up on the deck. "Maybe it was a mistake not to have the roof closed," Schmidt said. "In hindsight, what would it have looked like if the roof was closed? I don't know." The weather was horrendous and the significance of Wales's great start - Hadleigh Parkes touched down with just over a minute played - was massive in such difficult conditions. 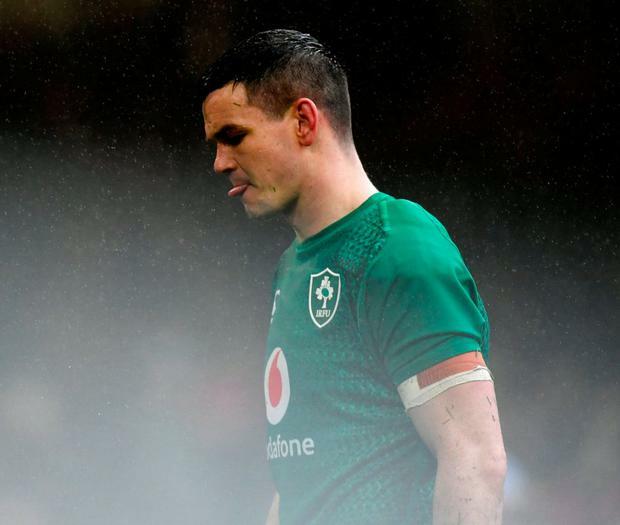 With an under-performing pack, that created more pressure for half-backs Conor Murray and Johnny Sexton, both of whom struggled again. 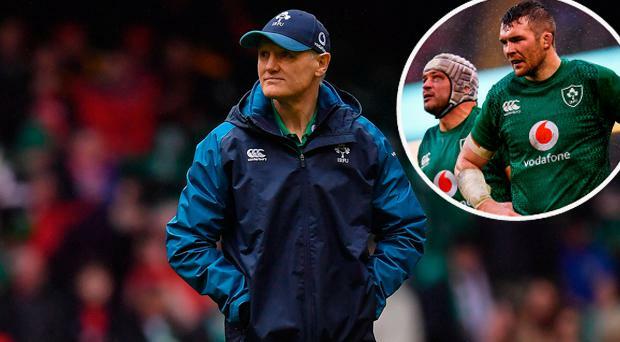 "There was frustration there," Schmidt said of Sexton's exchanges with referee Angus Gardner. "He (Sexton) has been really positive through the week. He's is building his way forward. He been a lynchpin for so many positive wins. "We've won 23 of our last 26 games. We finished third in the Six Nations and once upon a time that wasn't a catastrophe. That we have won three of five titles makes this one dip below our standards. It's not as good as we want to be. I'd like to think the genuine supporter is still behind us. Jonathan and Conor have had so many days when they have been the hub on which the whole thing has turned. They're not the reason we lost." Wales coach Gatland will be cancelling the normal Six Nations review he holds with the rest of the coaching staff a few days after these campaigns wrap up. "We're meeting for lunch now on what will be a long afternoon," he said. "There's no doubt I was pretty emotional. I get a buzz from them lifting the trophy. Two words will sum it all up in terms of this Six Nations (review): pretty good. And that's the review over." You can imagine how that afternoon will unfold. This was a record 14th win on the spin for his side, a third Grand Slam on his watch, and in circumstances where he had wanted a closed roof but instead had to watch it through a downpour. Regardless of what coaches say in public, World Cup years put a different shade on the Six Nations. So Wales, despite the wretched state of their domestic game, will go to Japan in great heart. In the other ties of the round Italy missed a host of chances to beat France in Rome, leaving coach Conor O'Shea still winless in this competition after a 25-14 loss, while in Twickenham England and Scotland played out a 38-38 draw in the most exciting Calcutta Cup game in years. It was the first time the Scots had avoided defeat away to England since 1983. The result left Eddie Jones's side, who saved the draw with the clock in the red, in second place in the Championship. Scotland had come back from 31-0 down after half an hour to lead 38-31 with four minutes to go. They ran in five tries in the second half.